Firmware Security – Page 2 – Hastily-written news/info on the firmware security/development communities, sorry for the typos. We will distribute the new edition ” UEFI Reading Book GRUB ” as “Marine Soft Matter” in the technical textbook 6 to be held at Ikebukuro Sunshine City on April 14, 2019. The previously published ” UEFI Reader Basic Edition Linux Edition” will be separated as the basic edition and distributed as ” UEFI Reader Linux Edition”. The placement destination is “U 27”. UEFI reading book GRUB ed. 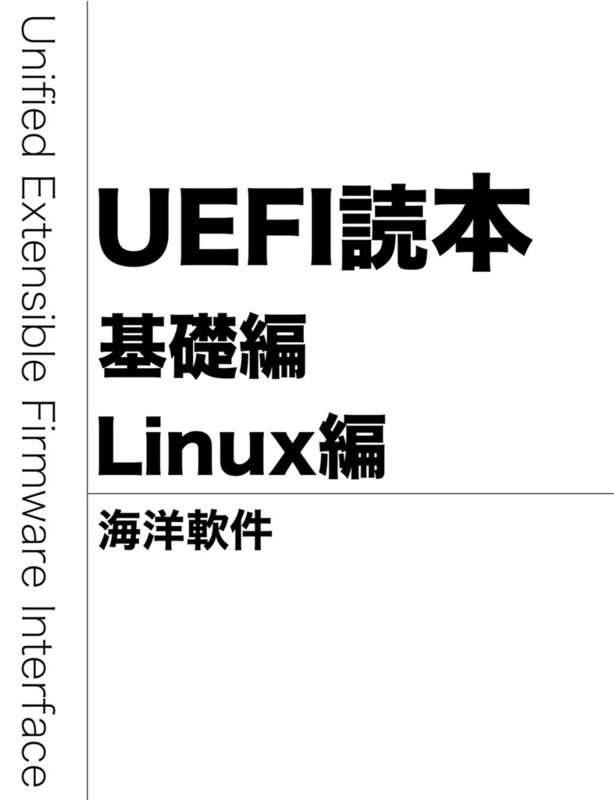 ” UEFI Reader Basic edition Linux edition” (hereinafter referred to as ” Linux edition”) distributed in the last technical book 5 was read by many people, despite being the first coterie of ocean soft matter I would like to thank you at this place. In ” Linux “, we tracked the boot process on EFI stub at source code level. However, many Linux distributions often use the GRUB bootloader, which has not covered the boot process in a typical Linux environment. So in this document we will look at GRUB startup and Linux startup in a UEFI environment. However, Linux startup itself is not covered here because of space limitations. Call for One Page Articles for the 1st issue of Paged Out! zin! Even when you have access to some binary’s source code, it can still be challenging to un- derstand said software. In this talk, I will discuss the techniques and tools I developed in order to understand and navigate the pile of code that is the open-source Das U-Boot bootloader. The tools I developed do not rely on proprietary software and instead make use of free and powerful debugging tools such as Capstone, Unicorn, and the GDB Python plugin API. My approach strives to highlight the temporal and mechanical connections that exist between higher-level behaviors and regions of the code base/binary by instrumenting, tracing, and analyzing all memory writes with respect to the software’s current execution path. This technique allows us to develop and test our understanding of the relationships between code and objects (data structures and/or regions of memory). I will discuss how these tools and techniques can be used to identify and distinguish between different phases of U-Boot execution (including distinct phases of initialization and relocation) and then show how such information can be used to design a coarse-grained memory region-based access control policy. Eclypsium has a new whitepaper that talks about IR and firmware.